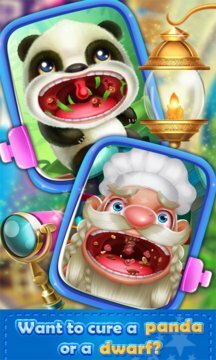 Do you want to be a throat doctor?Do you want to treat a hurt dragon or a hurt dwarf? Let's become throat doctor, helping these people treat throat! Be the best Throat Doctor at the fancy clinic! The little boy took too much of iced beverage, and his tonsil is painful. Have you ever seen a dwarf chef? Doctor! Please take out the fishbone from his throat! --- Take care of your adorable patients, don’t be a crazy throat doctor! 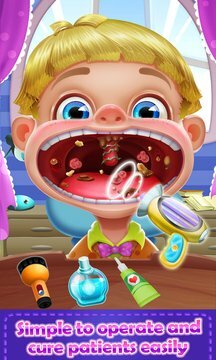 --- Now you can achieve your dream to be a super little doctor!Take care of your adorable patients, don’t be a crazy throat doctor! Let’s do it now,my dear throat doctor!